Ripping Randy is the greatest guitar player of all time…at least that’s what he thinks! 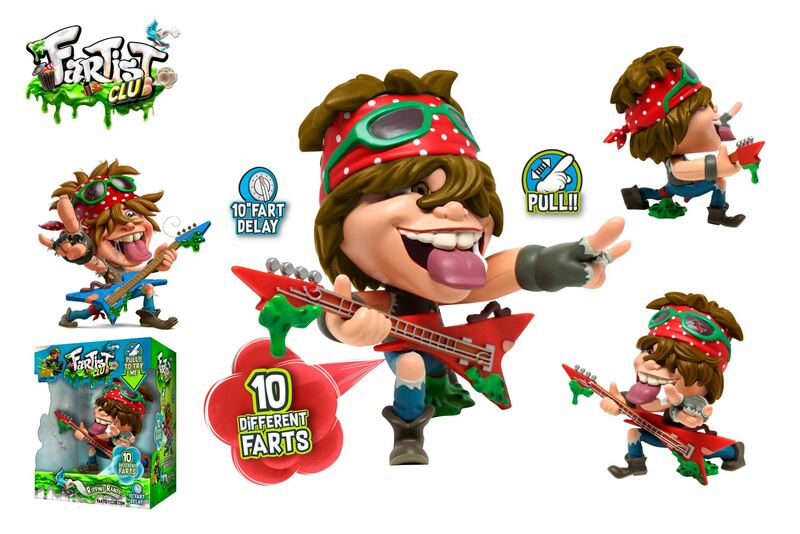 Somehow he created his unique fuzzy fart guitar sound in the Fart Rock Cafe during a smelly talent show, and won the stinking trophy with his incredible fartissimo solo! Since that night, he’s been on a disgusting mission to conquer the world with his farty tunes. These days, everyone knows his greatest hits, such as: Fart Me Up Before You Go Go, Bohemian Fartsody, and of course The Final Fartdown!